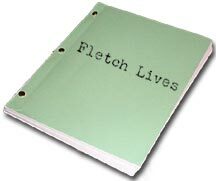 Here is the only place on the internet where you will find the original scripts that the actors used in both Fletch (1984) and Fletch Lives (1988). These are not word for word transcripts of the movies. It was once said of Chevy Chase that a script is merely a suggestion. Dialogue that may be different was more than likely improvised by Chevy on the spot. 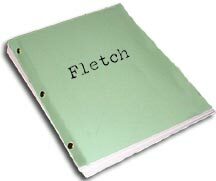 Stanwyk calls Fletch "Mr. Fletcher" when he couldn't possibly know him as anything but Ted Nugent. Its driving me crazy cause he makes the mistake 3 times in a row. There is no "G. Gordon Liddy Plane scene" in the script. In the movie, the scene appears right before he goes to see Mrs. Stanwyk in cabana one.